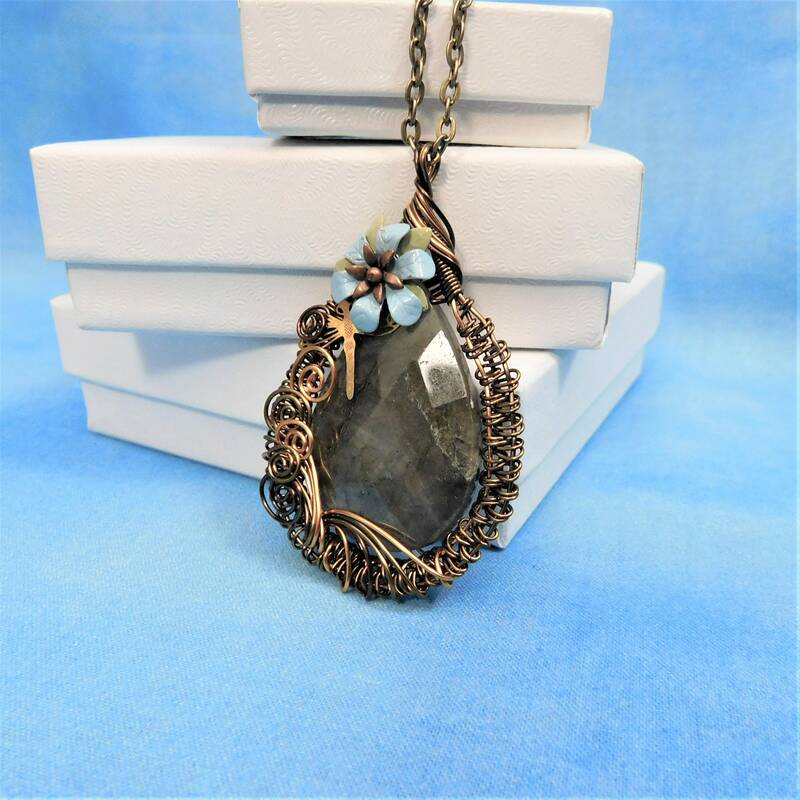 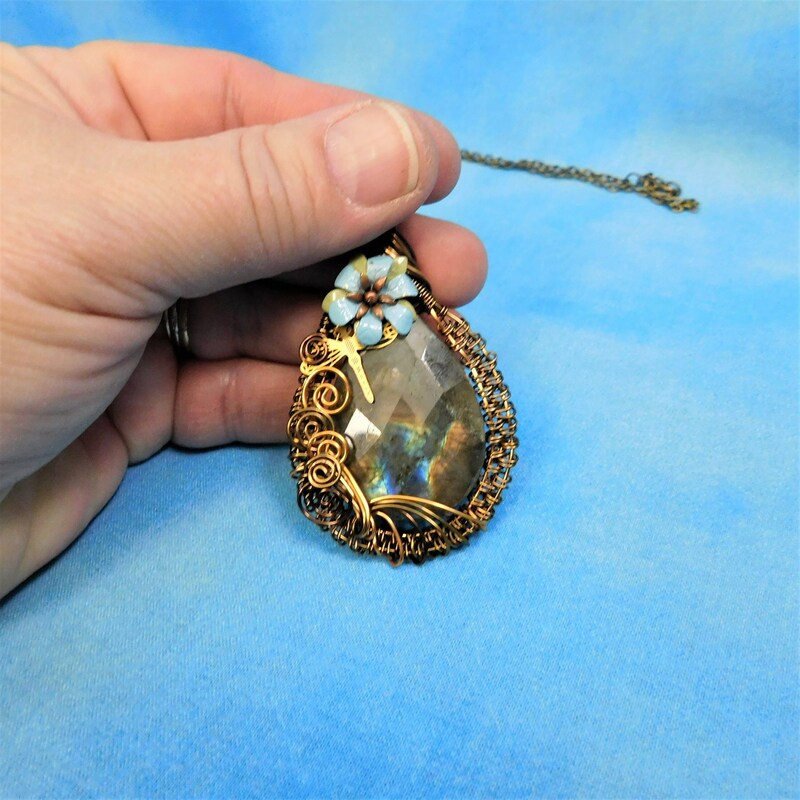 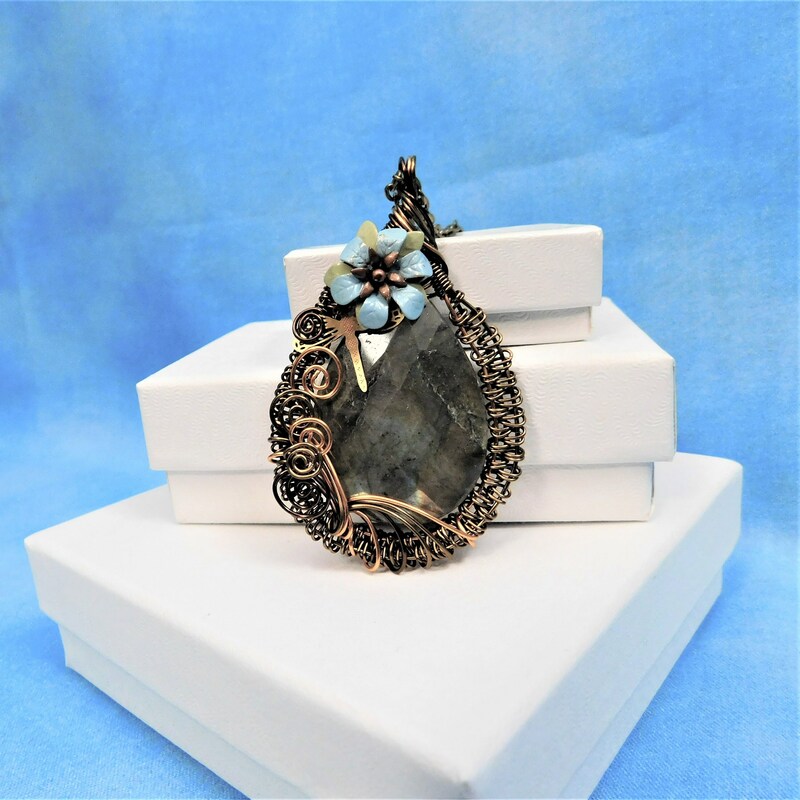 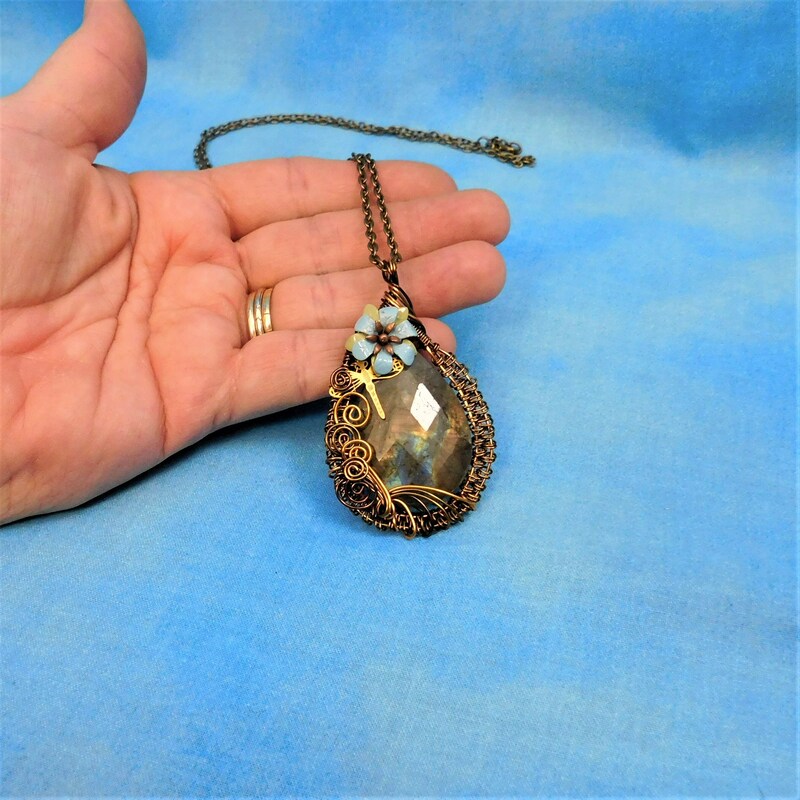 A shimmery piece of Labradorite is artistically framed with handwoven and sculpted copper wire. 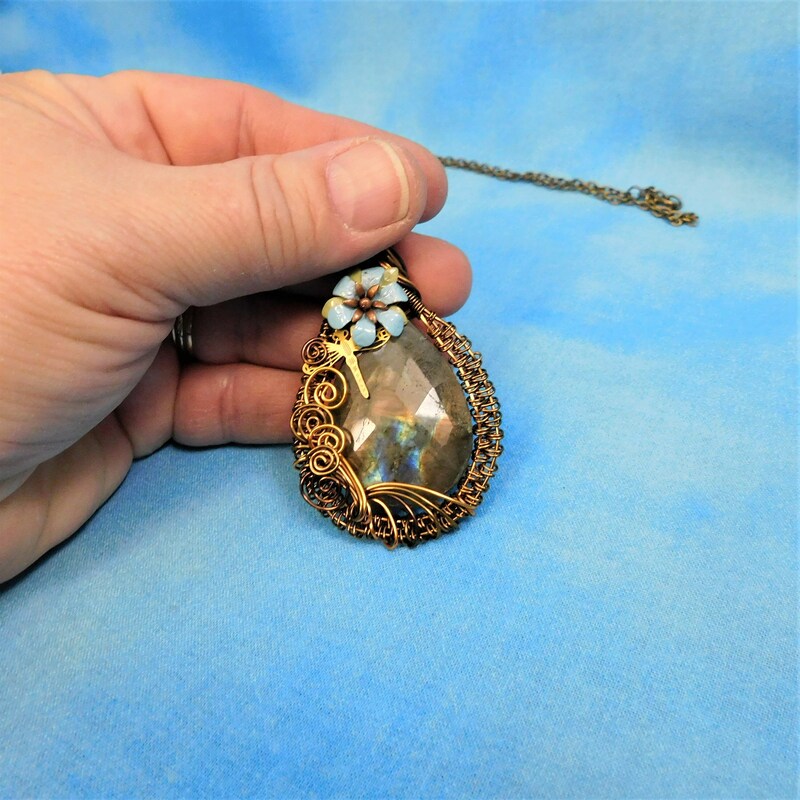 The unique pendant is embellished with a small flower and dragonfly. 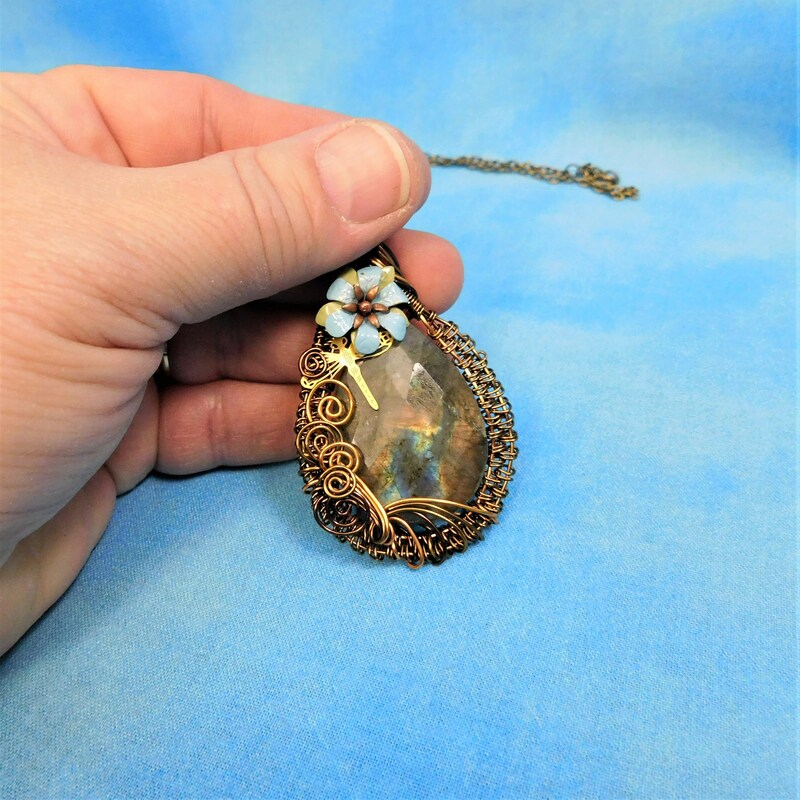 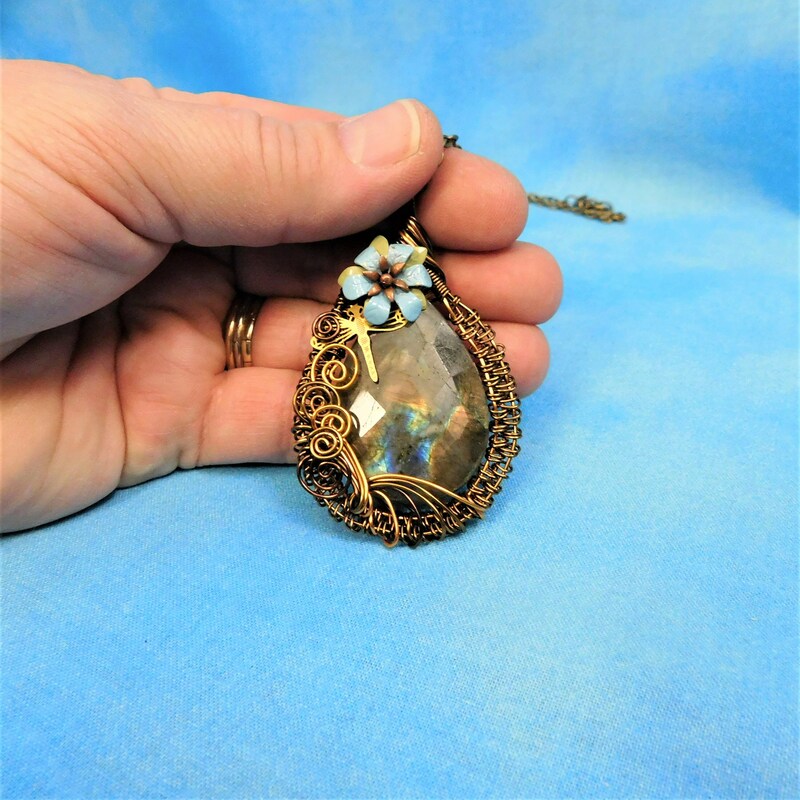 The warm tones of the copper wire bring out the flashes of blue, green and amber that come from deep within the stone. 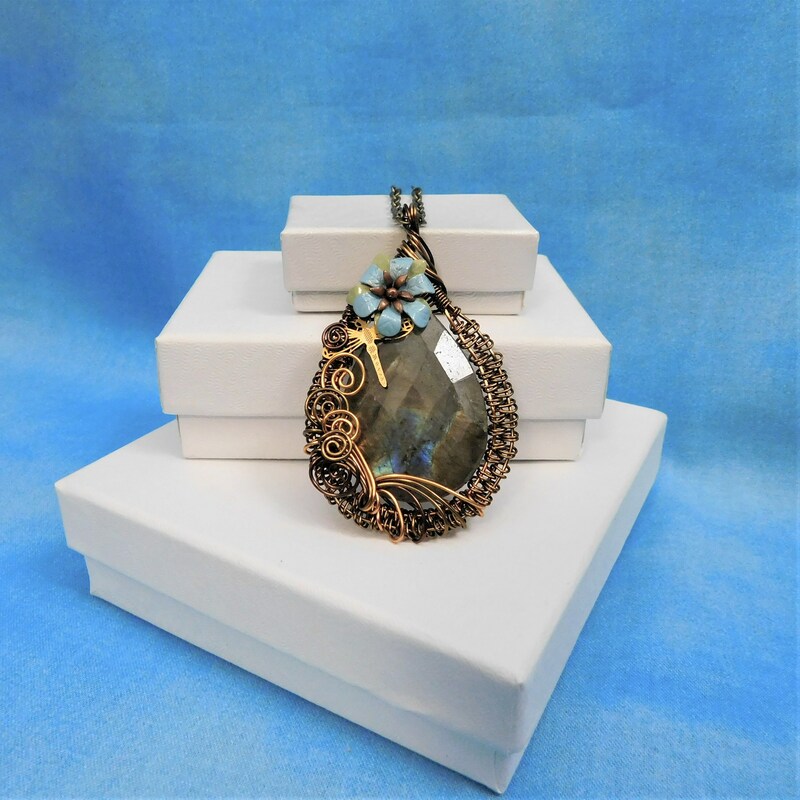 Labradorite is a truly beautiful gemstone, containing sometimes hidden color and glow that is seen when the light draws it out of the stone. 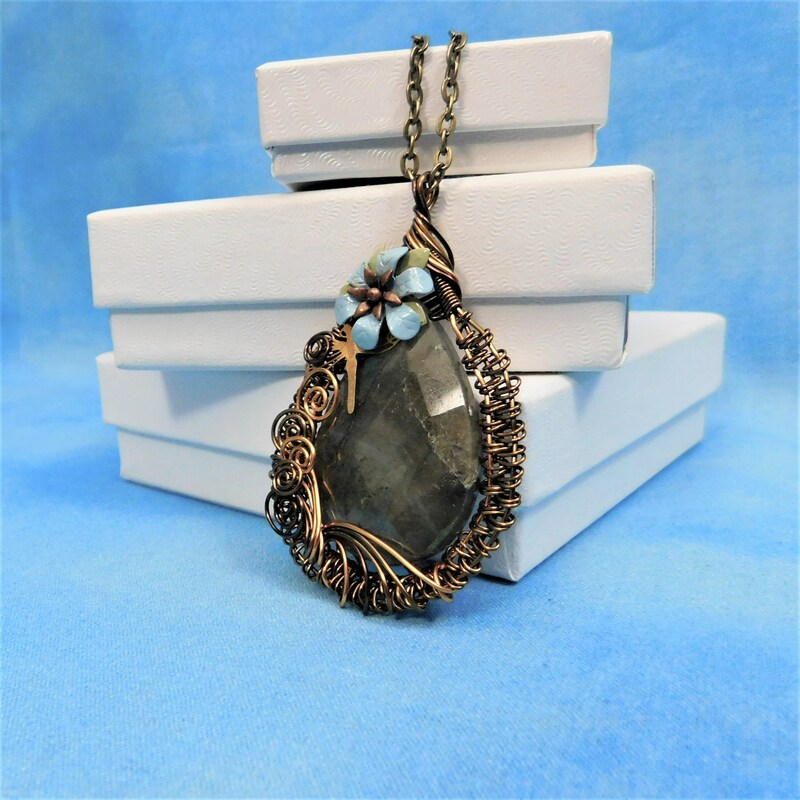 It was a pleasure creating the setting for this piece. 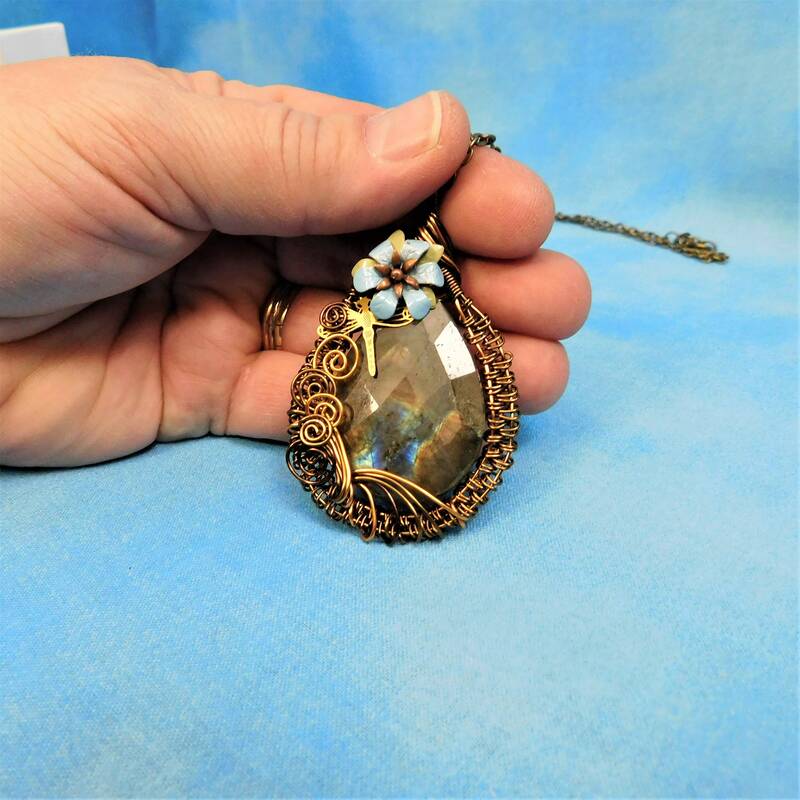 The pendant measures 2 inches by 1 1/2 inches and it comes with a FREE coordinating chain with lobster claw clasp, measured to your preferred length.